Some examples of hypoallergenic dog breeds are the poodle, the shih tzu, the Irish water spaniel and the maltese. 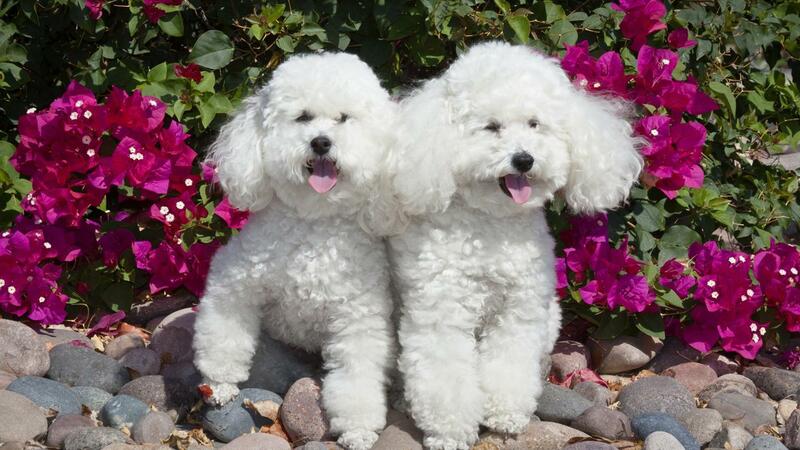 These breeds are called hypoallergenic because they produce less dander or skin flakes compared to other dog breeds. A variety of other breeds also are hypoallergenic, including some mixed breeds. One of the most popular hypoallergenic dogs is the poodle. This multifaceted dog comes in three sizes: toy, miniature and standard. Poodles have hair, not fur, and are non-shedding dogs. Because their hair grows continuously, they may require grooming every six to eight weeks. The shih tzu is another popular hypoallergenic dog, not only because it hardly sheds but also because of its thick and soft coat. Its coat can grow quite long, but most owners trim its hair during the summer because the dog is extremely sensitive to heat. The Maltese, another small hypoallergenic dog breed, is extremely popular among dog lovers. This indoor pet has no undercoat, so shedding is rare or nonexistent. Its snowy-white coat needs regular grooming and is prone to tear staining. For those who want a large hypoallergenic dog, the Irish water spaniel is an excellent option. It doesn't shed much, and its tight, curly coat needs to be controlled through only occasional grooming. It is a working dog and gets along well with children and other animals. How Do You Find Local Breeders of Maltese Shih Tzu Puppies? How Do You Adopt an Adult Maltese Shih Tzu?